Play Fortnite on 4 screens linked into the same game! Players can use his or her own profile or one of ours and work together playing Duo's or Squads! Our 3 other screens are available to play more of the latest and greatest games on Xbox One, and the Nintendo Switch. Recommended for group size 15-20 guests. This is the Ultimate Backyard Fortnite Party. 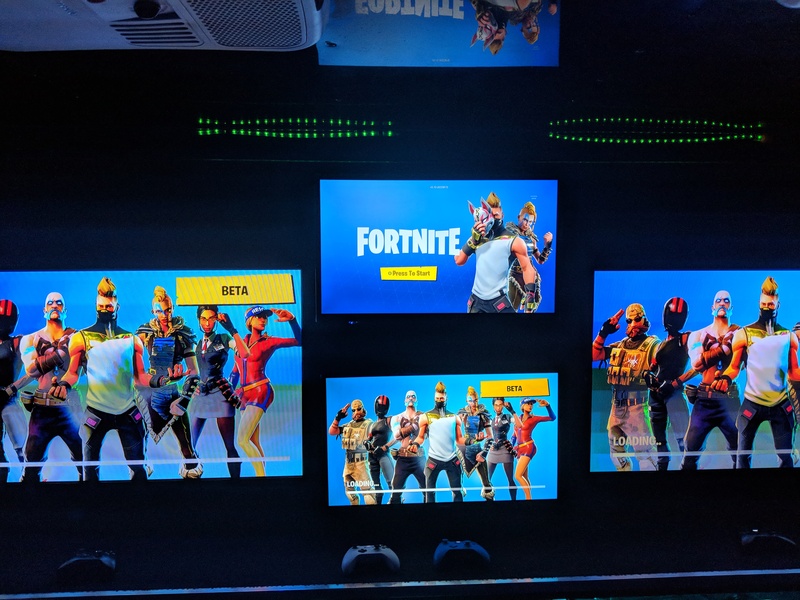 Your guests will play Fortnite on a giant 14 ft Movie Screen! Our theater quality sound system makes this an experience your friends and family wont soon forget. Best for groups of 8-10 kids. Copyright© 2018 Rolling Video Games of New Jersey. All rights reserved.